Dynamic sitelinks can be very helpful for retail marketers because they help boost the click-through rate (CTR) and guide shoppers to relevant pages on a business’s web site based on the user’s recent search history. Sitelink extensions show value to prospects before they click while also being an aspect of ad rank. Businesses should use sitelink extensions in their AdWords campaign along with the basic ad text, such as title, description, and display URL, to achieve a higher CTR. For more important information about AdWords ad extensions, keep on reading. What Are Dynamic Sitelinks and How Do They Work? Dynamic sitelinks differ from regular sitelinks because they do not show up in organic search results. Instead, they appear in sponsored search results in a Google AdWords pay-per-click (PPC) campaign. They encourage users to click on sponsored ads, and adopt and adapt their sitelinks. To boost your advertising impact and value, dynamic sitelinks may be the solution. They connect users to what they’re looking for on your web site, and they automatically create text and set up links. They can be easily updated for sales and special offers, you can see data about the clicks on your ad, your sitelink extensions can be edited without losing data, they can be mobile-optimized, and they can be scheduled with start and end dates. To put it simply, they improve your AdWords CTR, which means more customers, more sales, and better business. Keep your descriptions short and to the point (18-20 characters; 12-15 for mobile). Create sitelinks for Bing Ads campaigns as well to reap the same benefits as you would from AdWords. Periodically check your links to make sure the pages are working and up to date. The worst thing is to click on an ad you set weeks ago only to find a “404” page in its place. Keep an eye on metrics such as impressions, CTR, and CVRs (conversion rate). Stick to the Ad Policy guidelines to save time on editing. Some of these guidelines prohibit emojis, exclamation points, and symbols. Schedule start and end dates for time-sensitive links. Since the introduction of ad extensions for businesses did not take off the way Google expected, the corporation decided to help businesses engage in the enhanced features available to them. To demonstrate how dynamic site extensions work, here is a story: A user searches for used cameras and clicks on several results during her initial search. Eventually, she could schedule an appointment to meet with the seller by visiting their blog. If the user sees a link that takes her directly to the seller’s blog, that’s even better. Now imagine if your business is that seller—you are meeting a need for the customer and allowing them to reach you quickly and easily. Having web site content that is high in quality, readable on mobile devices, and integrated with social media will help your business gain the leads it needs. Using AdWords tools to get consumers to your web site is even better. Dynamic sitelinks are only one of the tools available to you to help you increase your leads and grow your business. But where do you begin? 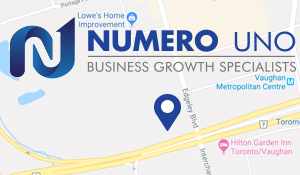 If you have questions about optimizing your marketing strategy, Numero Uno Web Solutions can help you. We are a content marketing agency in Toronto that specializes in helping startups and small businesses improve their web site’s SEO and more. We have benefitted businesses in Toronto, Richmond Hill, Vaughan, and we have even extended our services to Texas, Massachusetts, and Florida. To learn more about our content audit software, tools, and services, call us at 1-855-SEO-XPRT.